Warframe is a free to play cooperative third person shooter created by Digital Extremes. 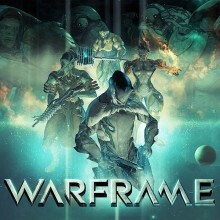 For those of you that have been following the developer for a while you may get the impression that the game has a familiar look, and that’s because many of the concepts and designs used in Warframe are based off of the original concept of Dark Sector, which changed significantly by the time it came out. I’ve personally been playing since the end of February which was a significant ways into the closed beta period, and the open beta officially launched at the end of March. Now that I have had a good amount of time to get a feel for the title and the player base has expanded significantly it seems appropriate to write up my experience. Has the extended time in closed and open beta made the game worth checking out? Note: I had been hoping to have some footage of me playing the game up for the article but due to issues with the capture software this wasn’t possible. I have included two recent videos from Digital Extremes at the end of the article and it’s fairly easy to find gameplay footage on Youtube if you want a quick look at how the game plays. To put it quite simply, this is some of the most fun I have had with a free to play title in quite some time. While the genre has often been associated with pay to win and a lot of locked content, developers like Digital Extremes seem to be doing their best to change this perception. I will get into the details of how the system works shortly, but first want to give you a quick overview of the game. In Warframe you play as the Tenno, a warrior type civilization originally from Earth that survived a great war by retreating to cryopods. After reemerging centuries later they find themselves still embroiled in battle on various planets throughout space, taking on the Grineer and Corpus factions (the Grineer are similar to space marines while the Corpus are engineer types that use a variety of attack robots) as well as Infested which are parasite infested humans that have changed form. The Tenno use Warframes to give them special fighting abilities and powers, which sets the stage for progression through the game. When players first begin, they are given a quick tutorial that showcases the various actions they can perform. One of the first things most people will notice when they go through this is how fluid everything feels, as the default Warframe body Excalibur is lightweight and can be maneuvered with relative ease. Controls use the standard WASD movement by default, with E acting as the melee button and X letting players interact with doors and lockers in the levels. Like most third person shooters that have come out in the past few years, clicking and holding the right mouse button zooms the weapon in for a better shot. The beginning tutorial teaches the basics, but once you dive into the levels you will quickly discover some other techniques like sliding, jumping to ledges which lets your character automatically propel themselves up it, and wall-running which can be used to access new areas. I was surprised by how tight the controls were and it was a nice change from the bulky third person shooters where it often feels like the player is controlling a tank rather than a person. Once basic training is over, there are a slew of options. The first thing most people will want to do is start checking out the options they have for their Warframe, as you are allowed to choose between one of three base models upon the completion of training. Unlocking new Warframes and weapons is dependent upon your level and once you meet the requirements they can be purchased with credits or platinum. Credits are earned in-game by completing missions, opening lockers within the levels, and selling weapon and Warframe modifications, while platinum is only gained by creating a new account or paying cash. However, the way that Digital Extremes has handled this system makes it feel different from your average free to play title. For one, since you have to run through missions to level your equipment and have to complete additional training runs to move up in rank it isn’t possible to merely buy the best items right from the get-go. Additionally, if you really don’t want to invest cash in the game you can grind for components and blueprints that allow you to craft the item rather than paying for it (which takes 24 hours of real life time unless you pay platinum to speed up the process). I really like the way the system works, as you can invest time into grinding or give yourself some additional options for a reasonable amount of money. The modification system has changed significantly from closed to open beta, and at this point in time most players seem to have adjusted to the changes. Initially weapon and Warframe progression used a tree system where each level you were allotted points and went along the skill tree, with modification slots letting you drop in specific damage or defense buffers depending on what you collected during missions. This has been dropped in favor of a fully modular system where leveling weapons and Warframes only changes some of their stats such as health and shield power, leaving the rest of the options open to player choice. There are a limited number of modular slots that vary by what you’re trying to change, meaning you may have to make a choice between a damage increase or status effect like fire damage. Digital Extremes also added in the Sentinel in a recent update, which is a pet that follows you around in missions that can be upgraded to provide additional firepower. Overall, the progression system feels fair and it is easy to customize weapons and character abilities with relative ease (plus colors too if you feel inclined to do so). Different Warframes also cater to different playing styles, as the default Excalibur is a balanced all-around character while the Rhino is a more heavily armored class that can be used for all-out assaults. Each of the different classes has different special abilities as well that can be used to assist players during missions, but guns and melee weapons still serve as the simplest way to take out enemies. Once you have your Warframe customized to your preferences, it’s time to start running missions. Most of the planets in the game world are locked at the beginning, and you must progress through missions to unlock them. Planets that are farther away from the initial one have higher level enemies and provide more of a challenge. As mentioned previously, this is a co-op shooter but it isn’t necessary to have a full four player party as most of the missions can be played solo but the challenge will be greater as the game doesn’t scale the amount of enemies based on how many players there are. Digital Extremes has made it easy to add and invite friends to game and there are clan options in game. Voice and text chat are supported, but in most of my sessions text chat was the go to option for the people that I played with. I was really impressed with how the servers performed, as with the exception of a few matches that timed out my experience was smooth and there was a minimal amount of lag. Warframe provides a wide variety of mission types, ranging from extermination runs where players must take out all the enemies to defense missions where an artifact must be defended for a certain period of time while waves of enemies try to destroy it. There is a nice balance between all of the missions, and players will find that certain types are better suited for full parties. For example, Defense or Infestation missions are best run with the full number of players as these mission types have swarms and swarms of enemies which make it incredibly easy to get overrun. But Extermination and Capture missions are possible to complete solo or with two players if you take it slow and clear areas one room at a time. The enemy AI is decent, as the space marine Grineer will throw grenades and take cover behind objects while Infested will swarm you without any concern for their wellbeing. Admittedly despite the wide variety of mission types the gameplay still boils down to traversing through the levels and shooting as many enemies as possible so it can become repetitive after longer runs. But even after a few months of playing regularly I still enjoy booting the game up for a mission or two every couple days, as the smooth handling of the characters makes the gameplay enjoyable for quick bursts. I imagine if you had a clan actively playing it would definitely help to maintain your interest as the missions are fun to run through with friends. As I mentioned earlier, Warframe takes heavy inspiration from the original Dark Sector concept and as a result it has a very futuristic look and feel. The majority of the missions take place on gritty metallic spaceships and outposts, but there are some wide open outdoor areas that remind me quite a bit of Halo in the way that they look and feel. I believe there is some kind of random level generation at play here as map layouts felt different each time even when playing through previously cleared missions. While there are a lot of levels that feel similar the developers were able to make slight changes by adding ice and other factors based on what planet you are on. My one major complaint is that it’s fairly easy to get lost, as despite the fact that you have a mini-map showing where other players are in relation to you and objectives it can be hard to tell what floor the objective is on. Sometimes you might be standing right where the objective marker are only to realize you’re a floor above, and the overall maze like feel of the levels is sometimes a bit too much. The graphics are quite good though, as character models are fairly detailed and animations are fluid. Digital Extremes has also been making plenty of tweaks over time as well, and elements such as idle animations have been enhanced from earlier versions. For a game that is free to play, the engine looks like it could have been used for a premium PC or console title and that’s quite impressive. Everything ran fluidly on my system with no major framerate drops, and out of all the titles I’ve played that were in beta this one had the least amount of bugs and glitches. Warframe truly feels like a polished title, even in its open beta state. It may have become repetitive over longer playing sessions and there are a lot of areas that still feel like a work in progress as the developers tweak and add new ideas, but overall I have had a lot of fun diving into Warframe over the past few months and will continue to check it out to see what gets added. Although it still feels like a work in progress and there still seems to be a lot that has yet to be implemented as far as higher level missions, the developers do seem to be listening to player feedback and keeping them in the loop on upcoming changes. I’ve already seen significant gameplay tweaks in the time I have been playing, and this has ranged from large overhauls like the new mod system to smaller tweaks like stealth melee options. I’m confident that Digital Extremes has a good handle on what works and what doesn’t, and that the game will continue to fill out content wise as the open beta progresses. But for now, if you’re looking for a fast paced third-person cooperative shooter Warframe is a great bet and can be rewarding whether you throw some cash in for quick access to additional weapons and classes or choose to grind it out for free. Just be sure to have some friends sign up with you, as this is the type of game that has more longevity if you have someone to play it with. And on a side note, I would love if the developers could put in some kind of friendly fire option at some point as it would be hectic to take on these missions while having to worry about your teammates as well.